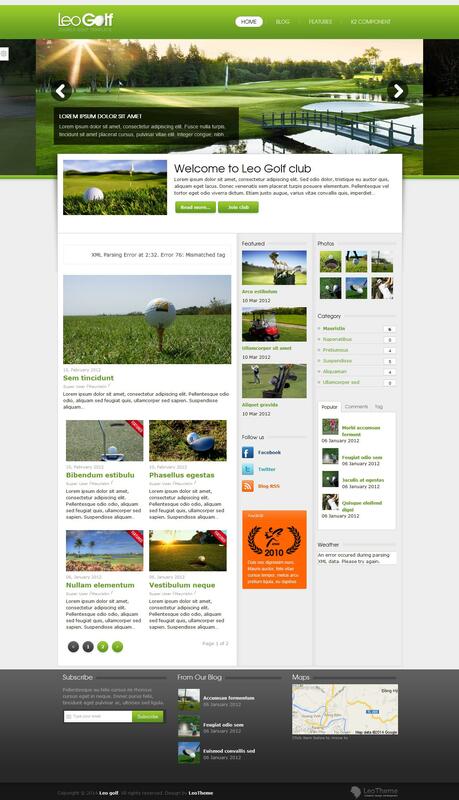 Leo Golf - the original template sports themes with a huge set of features from the developers LeoTheme. This template comes with three preset color options that let you choose the best look of the site. Built-in control template manager provides access to basic layout options: change the background, text, color and font size. Flexible platform Leo Framework gives particular pattern flexibility and optimization, and is responsible for fast download speed and support for mobile devices. Having the support component K2 ensures new possibilities for publishing material on the site. In the assembly is rotator materials company that provides a visual representation of information on the site.